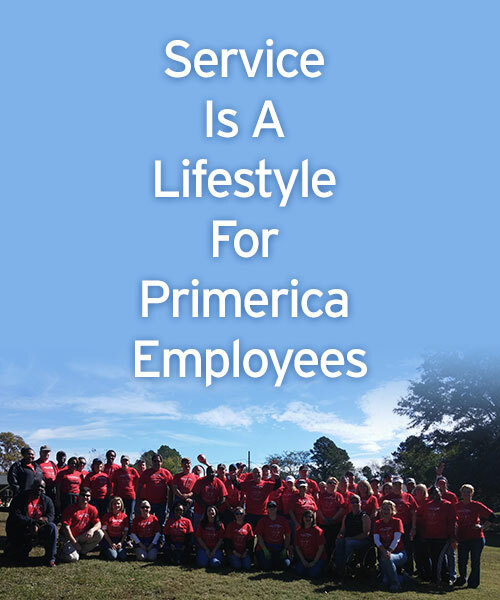 In addition to their stellar personal service efforts, Primerica Home Office workers participate in the Gwinnett County, GA, Great Day of Service every year. 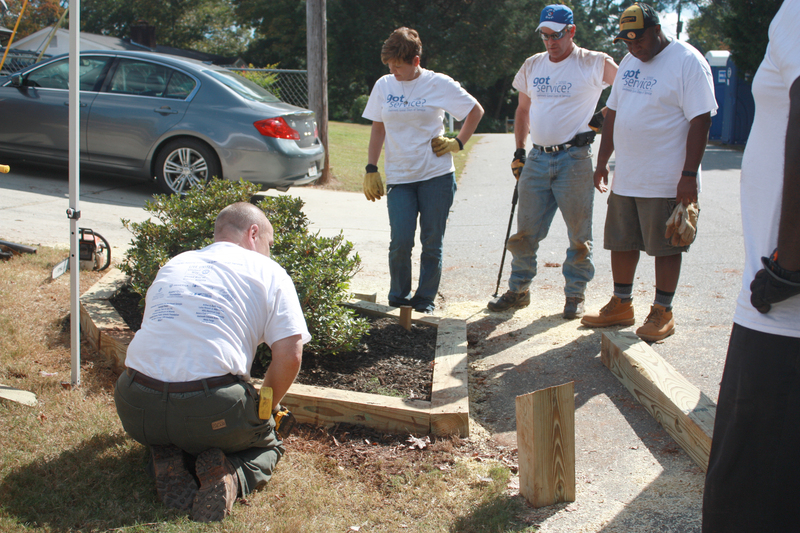 At the end of October, a team of workers volunteered at the Lawrenceville Housing Authority, an organization that offers affordable rental units to low-income families. 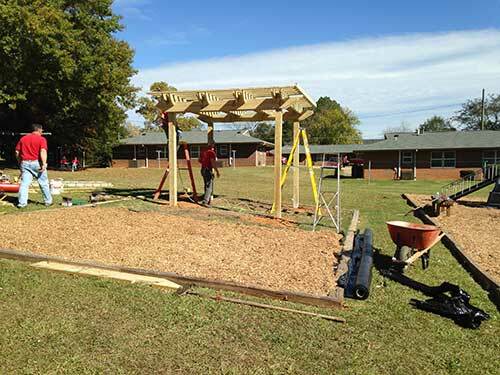 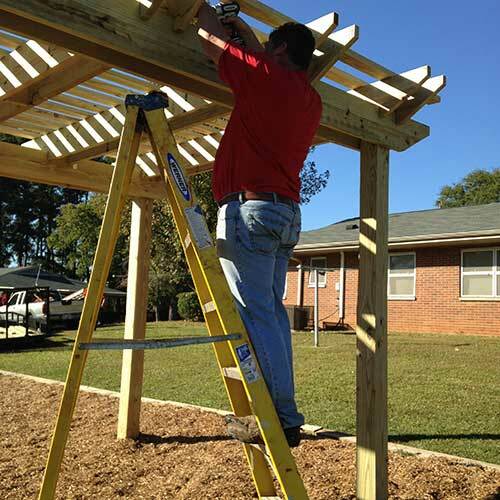 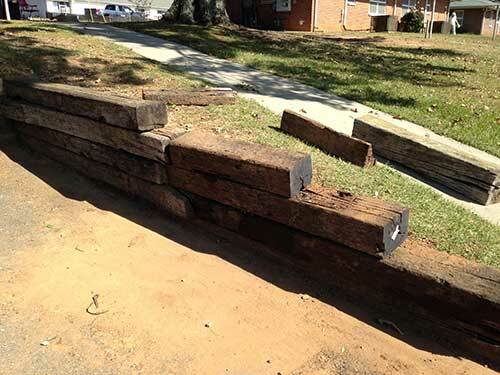 At the Rich Martin Property, employees installed 78 pairs of shutters on the units, pressured washed homes, planted more than 100 shrubs, built a pergola for the playground area and repaired two retaining walls. 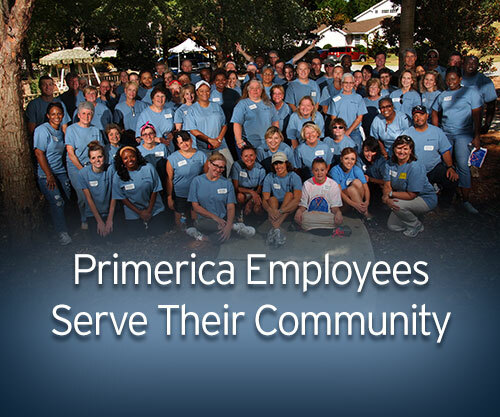 Primerica and its employees have a long tradition of volunteering time, resources and money to help improve our community. 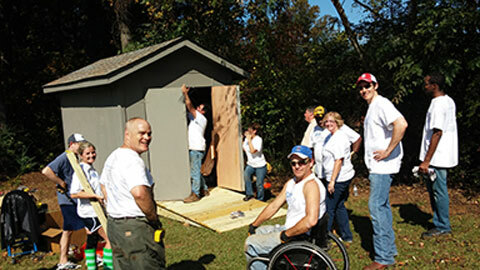 One of the long standing charity events our employees are proud to be a part of is the Gwinnett Coalition’s Great Days of Service. 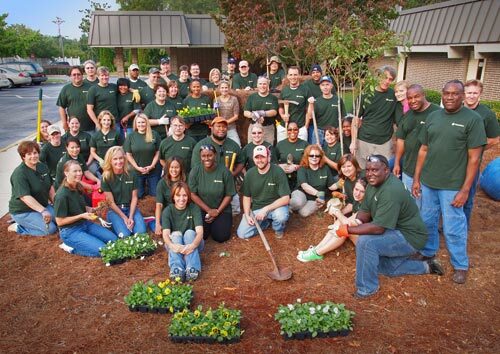 In September, about 65 employees participated in this year’s project: revitalizing the Hi-Hope Center. 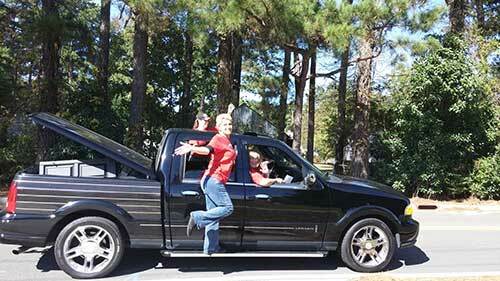 Read the Gwinnett Daily Post’s interview with Renee Carter, Primerica’s program and events coordinator! 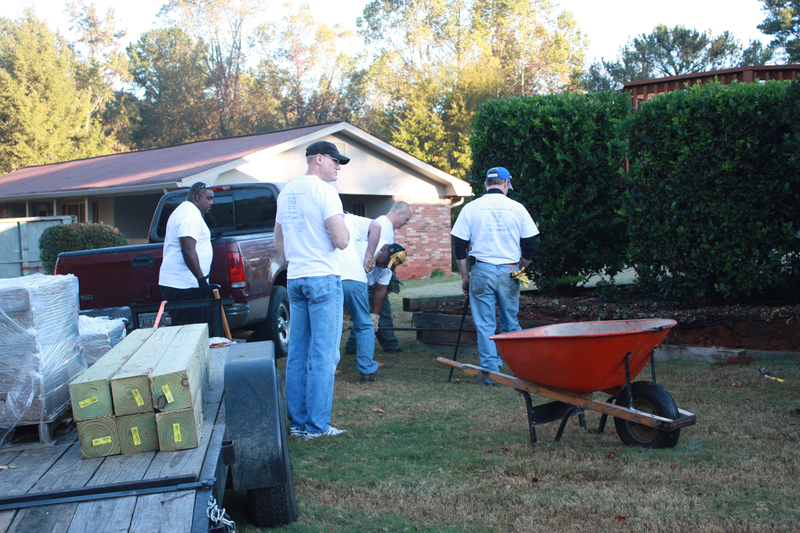 Primerica’s Great Day of Service was a beautiful, breezy fall day that had been preceded by days and days and days of rain in the Atlanta area. 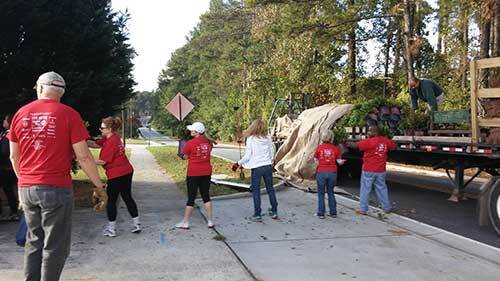 Luckily, the clouds parted this past October 2, and more than 80 Primerica Home Office volunteers banded together to spruce up, clean up, paint up and generally fix up the Partners Against Domestic Violence women’s and children’s emergency shelter. 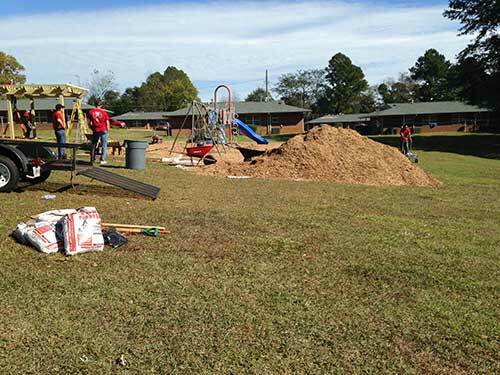 Out came the brooms, mops, paint scrapers, brushers, rollers, sprayers, rakes, shovels, shears and saws – all employed to slick the place up a bit. 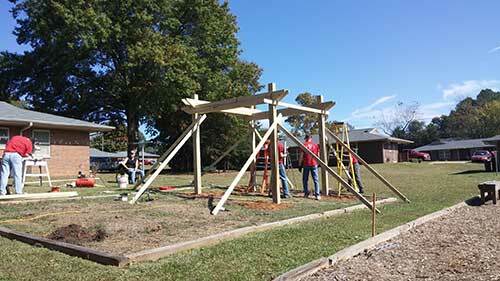 The object was to spend a day making the shelter and its yard and play areas just a little nicer for those in need. 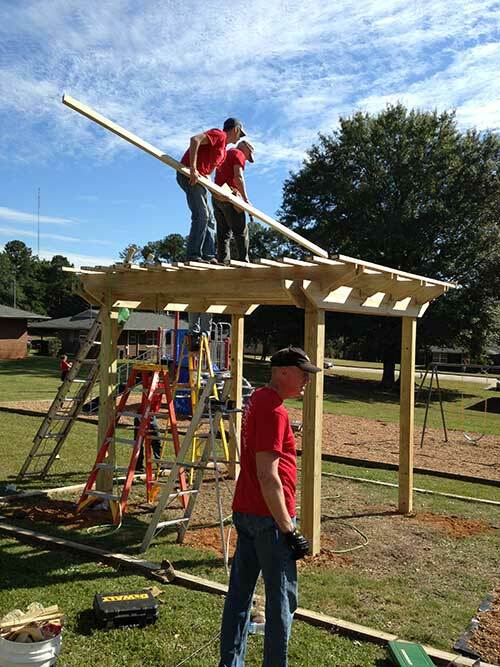 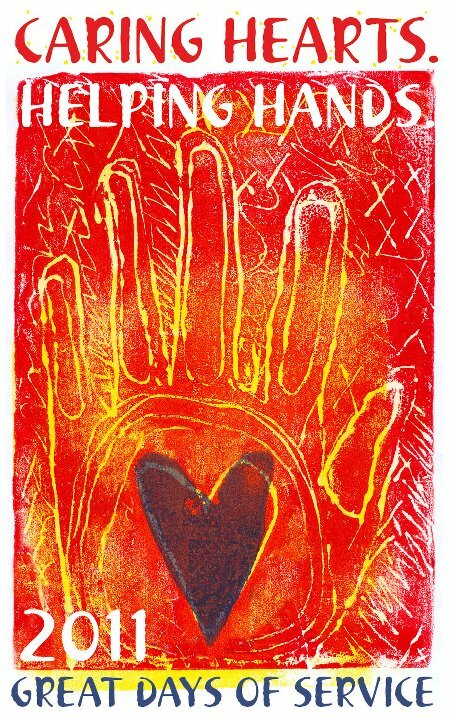 The Great Day of Service is the brainchild of the Gwinnett (County, GA) Coalition for Health and Human Services and it’s one of the most popular volunteer service days at Primerica’s Home Office. 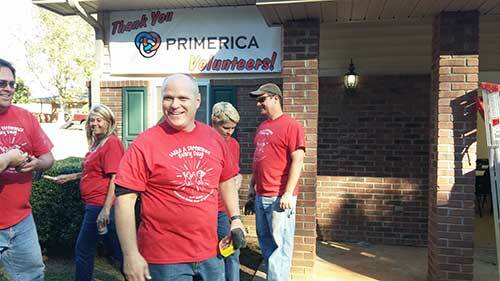 Primericans are always looking for ways to give back to their community and this truly was a Great Day of Service.